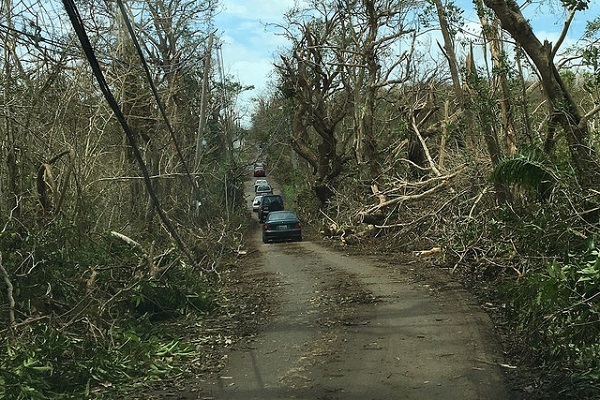 6 Months after the Hurricane in Puerto Rico, Will Renewable Energy and Virtual Power Plants Be the Future Main Energy Source? I wonder if you remember Puerto Rico, which was devastated by the Hurricane Maria? After the storm, Puerto Rico suddenly returned to an era of no electricity. Then major technology giants helped by providing Li-ion batteries, micro-grids and solar panels. Six months later, with many helping hands, Puerto Rico's recovery has reached its initial stage: the number of households without electricity fell from 450,000 in January to around 100,000. The Puerto Rico Power Authority (PREPA), a utility company, is the island's main electricity supplier. It provides energy to 1.5 million homes on the island. It has 76 years of experience building the electricity grid, but its power plants are old. The average age of PREPA's power plants is older than 40 years old. All of PREPA's power plants locate in the south of the island. The equipment and power systems are almost totally destroyed in the storm. In addition to repairing and installing new cables and wires, PREPA is looking for ways to make power systems more resilient to natural disasters.PREPA interim director Justo Gonzalez said that if underground cables were to be installed, individual power grids would need to be overhauled, and strong baseload equipment would take a long time to build. Therefore, some people pointed out that it is possible to replace aging energy equipment with renewable energy systems and solve the long term problem once for all. There is an evidence to prove off-grid solar energy system can survive the hurricane disaster. Casa Pueblo Education and Community Center, in Adjuntas, Central Puerto Rico, has been relying on solar power since 1999. Because it is off grid, the building became a shelter during the hurricane and later recharged medical equipment and telephones in the town. It shows the strength and toughness of an off-grid solar energy system. According to estimates based on statistics, 350,000 solar systems would have to be installed on the island to satisfy the 3.5 million residents in Puerto Rico. If residential solar energy systems are added, the number of installations can be further reduced. Redundant rooftop solar power and energy storage systems can be integrated into virtual power plants, turning residential areas into mega-power plants. Decentralized energy and storage can make the grid more stable. In order to achieve the goal of the virtual power plant, electrical engineers and social scientists in University of Puerto Rico, Mayagüez Campus (UPRM) are working on a smart grid tailored for Puerto Rico. The team uses machine learning algorithms to precisely manipulate the grid. One set of algorithm uses the weather forecast to stabilize operation of the solar micro grid. The other is responsible for the detection of electricity on the wires, to prevent power leakage, electric shock and blackout. The current grid project OASIS has finished its lab stage and is being conducted field tests. Manuel Rodriguez-Martinez, who leads the project, said the smart grid would allow communities to become self-sufficient and not rely on electricity from the central grid. Its app also will allow residents to know all available energy and time, so residents can decide where to buy from. Households are now gradually sharing generators and solar panels through extension cords. However, will this project be supported by the government? The answer is unknown. PREPA previously prohibited homes from selling and transmitting electricity to other households, and the government was more likely to encourage businesses to invest in renewable energy. The governor of Puerto Rico announced in January 2018 that it planned to privatize PREPA in the next 18 months, and create a power grid with a green energy generation of over 30% share. PREPA will continue to retain ownership of the original power infrastructure in the future. The private company is responsible for the maintenance and planning of new electricity. In the same month, Puerto Rico introduced micro-grid regulations for the first time in its history. The regulations require huge fees and impose restrictions on those who own micro-grids and try to sell electricity.